Microsoft Premier Support Benefits Include Dedicated Support with Hands-On Assistance, Training and Tools Tailored to Your Business Unique Business Needs. Premier Support offers flexible, end-to-end managed support across all Microsoft technologies and deployments that helps you get the best support available. An assigned Technical Account Manager serves as a single point of contact at Microsoft for driving proactive and reactive support for your Microsoft solutions. And escalation management for your critical needs ensures issues get the attention they need. Microsoft Premier Support gives you access to an always-on global network of specialists with deep knowledge of Microsoft products. 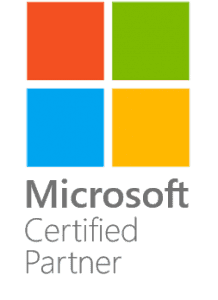 This Microsoft product expertise allows you to optimize the value of your Microsoft investment with MS Premier Support services. As a result, getting more done, faster, with less distraction to your IT operations. With MS Premier Support, your enterprise can drive business outcomes, with a dedicated partnership helping you focus on your business goals, not your IT’s uptime. As of July 1, 2018, all Microsoft Premier Support customers will be moved towards a new all-inclusive support model over the next 12 months. This new model is called Microsoft Unified Support. Compare MS Premier Support to MS Unified Support. Analyst research reports that most enterprises will see a 30-60% cost increase. US Cloud Premier Support is a proven alternative to Microsoft Unified Support.